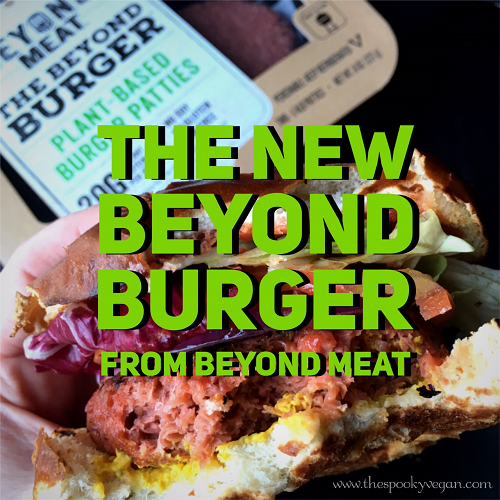 I have been intrigued with the new Beyond Burger (the vegan burger that the media has dubbed "the burger that bleeds" due to its juiciness and use of beet juice as food coloring) ever since I first heard about it earlier this year. It is an all-vegan burger that is very close in appearance, texture and taste to the "real" thing. To be honest, the concept freaked me out a little and I wondered if I would be able to handle such a "meaty" vegan burger! This vegan burger REALLY blends into the meat section of the grocery store, and without its packaging in a side by side comparison I bet most people wouldn't be able to tell the difference between the Beyond Burger and a beef burger. 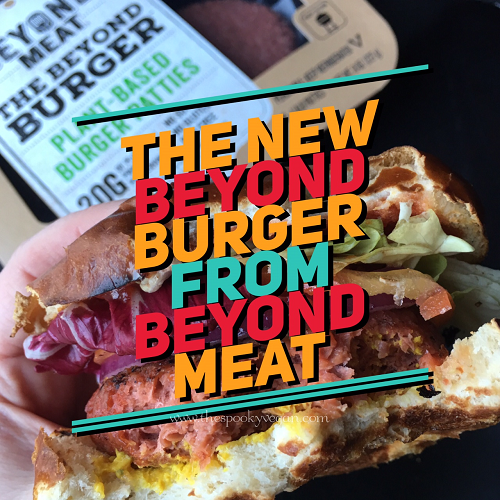 Here is a little more about it from Beyond Meat's site: The Beyond Burger™ is the world's first plant-based burger that looks, cooks, and tastes like a fresh beef burger, and it's coming to the refrigerated meat section of a store near you. It has all the juicy, meat deliciousness of a traditional burger, but comes with the upsides of a plant-based meal. The Beyond Burger™ packs 20 g of plant-based protein and has no GMOs, soy or gluten. The Beyond Burger made its public debut at a few select Veggie Grill restaurants a month or so ago (they are now available at ALL Veggie Grill locations!! ), and after seeing numerous videos and photos of it, I was further intrigued. It has now started to hit Whole Foods grocery stores here in Southern California. I found mine at Whole Foods in Tustin, California (note: I didn't find them in the meat section, but actually found them by pure serendipity while browsing the other Beyond Meat products in the freezers). The Beyond Burgers come in a pack of two, already shaped like patties, and cost around $5.99. When I was ready to grill mine up I opened up the packaging and marveled a bit at how close to ground beef they looked! The color, the texture, and even the icky smell reminded me of cow meat. 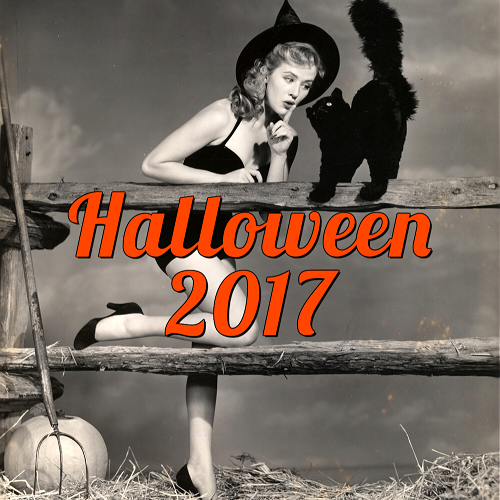 It was a little off-putting as well as exciting! After heating up the grill, I threw both patties on and was rewarded with a nice sizzle and a smell that reminded me of my family's summer BBQs! I cooked the Beyond Burger patties at medium heat for two to three minutes on each side and they released a lot of juice while they sizzled away. I was also rewarded with some beautiful scorch marks and a crispy overall sear. The burgers came off the grill nicely seared, but still slightly pink on the outside. I served them on a toasted pretzel bun with ketchup, mustard, and lettuce - a simple dressing for first bites so the actual taste of the burger could shine through. First impressions - the burgers were really plump and not the usual flat discs that most veggie burgers look like. The burgers were really greasy and juicy - even before taking a bite the sheen of fatty oils (mostly from coconut oil) could be seen on the burger patties. It wasn't off-putting, it was actually mouthwatering to have such a juicy burger in front of me! When I finally took a bite (after taking a few deep breaths because it looked a little TOO real), my eyes lit up and all I could utter was "ooooooh...mmmmmmmm!" The burgers were very meaty and had such a succulent mouth-feel! And the texture was seriously unreal - it was just like I remember beef burgers looking/tasting. I even tried a patty by itself without dressings or anything else, and the flavor and texture were still incredible - I just wanted to keep eating it! As many others have said before me, the Beyond Burgers are the closest a veggie burger has come to tasting like the "real" thing. The second time I had the Beyond Burgers, I pan-fried the patties in a cast iron skillet after seasoning them a bit with salt and black pepper and a light coating of oil (though I probably didn't need this due to the high levels of oil already present in the burger). I cooked them about two minutes again on each side, maybe slightly longer. Again, the patties come out sooooo juicy! For my second time eating the Beyond Burger, I put it on another pretzel bun, then slathered some BBQ sauce on it, then topped it with some onion rings. So tasty! Both cooking methods resulted in a plump, luscious burgers. Of the two I would give a slight edge to the grill method, but it just might be because the ritual of barbecuing is so satisfying and brings back fond memories. Both methods resulted in a crispy sear on the burgers, but the grill method gave it some extra grill marks and smokiness. Vegetarians and vegans will be pretty floored by the taste, texture, juiciness and overall "meatiness" of the new Beyond Burgers. I had some trepidation about how "real" these burgers looked, but they are really incredible and taste fantastic - all from plants and without having to murder animals, yay! I also had a meat-eater try the Beyond Burger, and he also gave very high marks to the Beyond Burger and would gladly replace regular beef burgers with it. 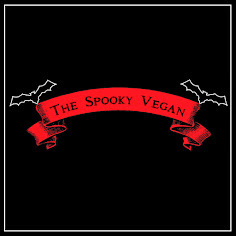 Of all the vegan burgers I've had Mister Spooky try, he enjoyed the Beyond Burger the most and said it is miles beyond all the other veggie burgers. He said the Beyond Burger was very realistic and the closest to a beef burger he's ever had. He loved the meaty texture and now he always asks if we can get it again! I know that these Beyond Burgers will inspire other non-vegans to eat more plant-based, and I think that's amazing. Though I had some trepidation about the "realness" of the Beyond Burger, in the end I really ended up loving it! The taste is amazingly juicy, the texture is unreal, it looks and feels like a meaty burger. 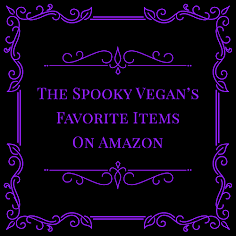 Plus, it is pretty much the only veggie burger that Mister Spooky has swooned over, so it can be fed to meat-eaters and they will just eat it up! If these didn't have such a high fat content, I would happily eat them everyday! However, they will be perfect for when I'm in the mood for a burger or for BBQs to wow friends. The new Beyond Burger is a triumph in plant-based foods and is a wonderfully juicy treat! I hate the term "game-changer" and try not to use it willy-nilly, but in this case the Beyond Burger really is a game-changer! Next summer's BBQ season is gonna be awesome with the addition of the Beyond Burger. Have you tried the new Beyond Burger? If so, what did you think? Not ready for the Beyond Burger? I also highly recommend Beyond Meat's Beast Burger - read my review HERE! For more info, including stores that carry the Beyond Burger, visit Beyond Meat's website! Note: I have not yet tried the Impossible Burger made by Impossible Foods, which is another meaty plant-based burger that will be available soon. Right now it is only available at a few restaurants - check out the Impossible Foods website for more info on the Impossible Burger. Oooh! I love veggie burgers, so I'd LOVE to try this one, too! I can't wait to try these!!!! Craving one with some sweet potato fries!! How does it compare to the Beast Burger? Same same but difference? It is wayyyyy meatier, not the same at all! Much more realistic and has fooled many meat-eaters! Yeah I've now had both. The Beyond Burger is way more realistic and tastier than the Beast Burger. The Beast is pretty good, but not great.